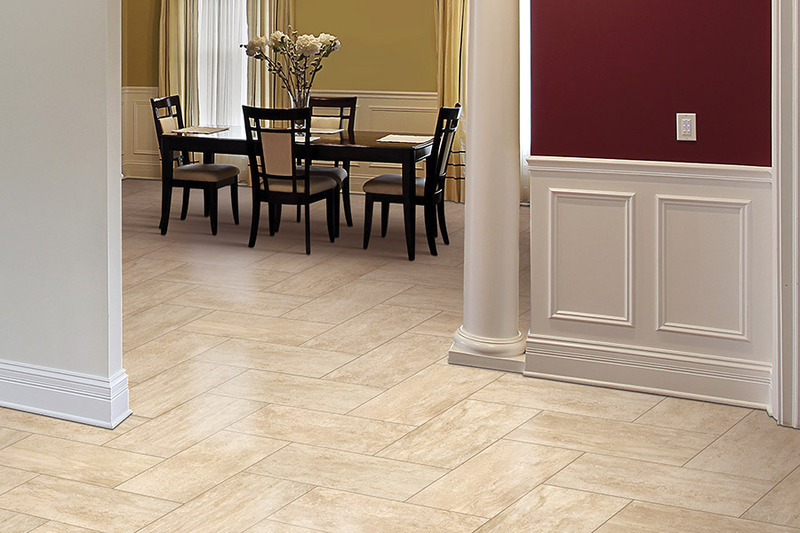 Nothing says elegance and quality quite like ceramic & porcelain tile. In fact, it’s something that has been used to speak out these qualities for centuries. Homeowners today still choose these materials for their homes because, in that long expanse of time, nothing has changed about them. The qualities that made them perfect for homes, cathedrals and palaces hundreds and even thousands of years ago, are the same qualities that make people choose them now. 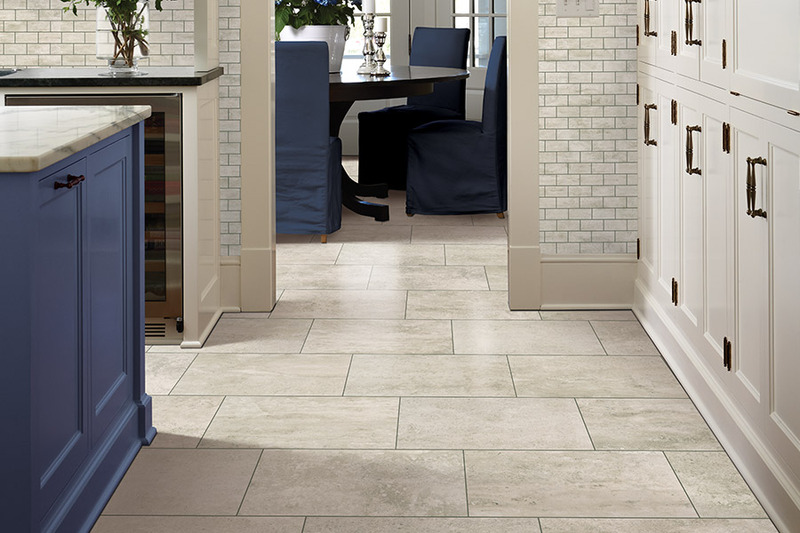 Atlas Tile has been dealing with products in the flooring industry for nearly sixty years, especially tile products. In addition to the specific products we offer, we also offer services for them as well, so you’ll be sure you get an entire package deal that you’ll love for years to come. Serving the areas of Wethersfield, West Hartford, Newington, Rocky Hill and New Britain, we’d love to serve you as well. 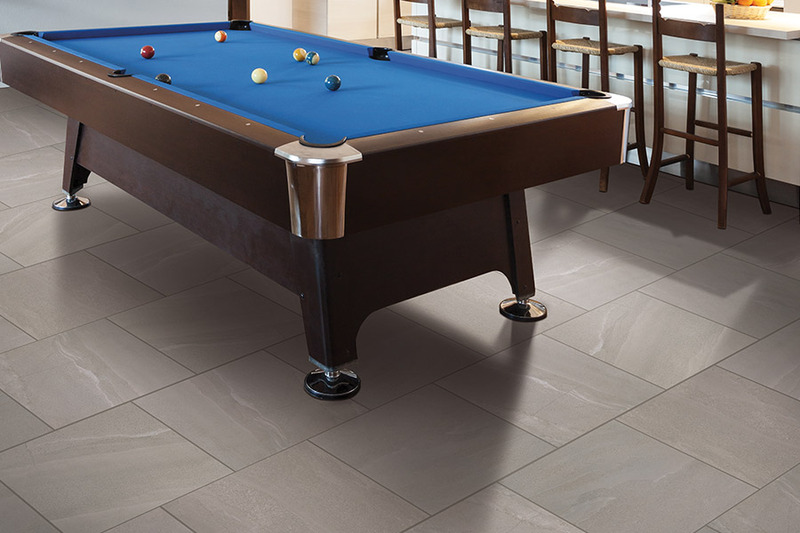 Come check out our extensive line of products and speak to one of our flooring specialists when you visit our showroom in Wethersfield, CT.
What’s the first room that comes to mind when you think about ceramic & porcelain tile? If you’re like most, you probably said “the bathroom”. And that’s a great application for this particular material. However, there are many other places these materials will work as well. The same attributes that make them great in the bathroom, make them awesome for the laundry room and kitchen as well. On the other hand, don’t neglect giving the living room, study or dining room a chance. 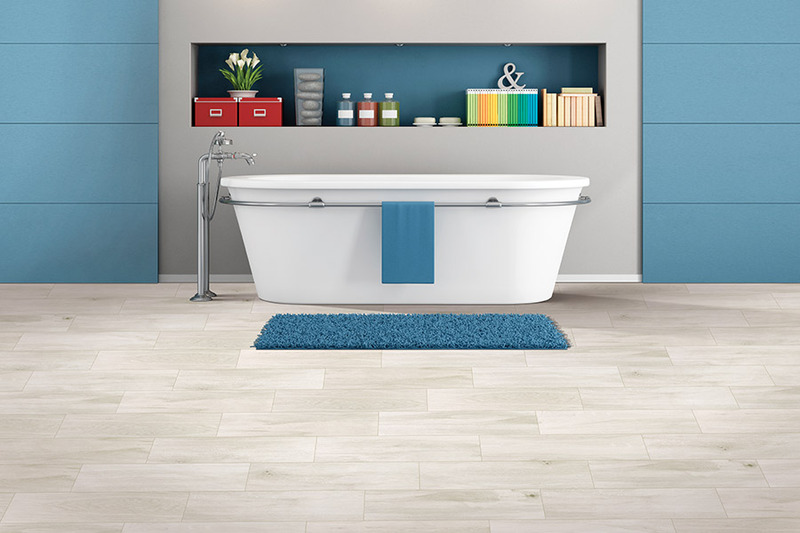 Ceramic & porcelain tile has excellent water resistance, and offers durability that lends to its lengthy life span. They are made of high quality clay and other natural resources, then fired in a kiln which creates dense tiles that are hard, and offer a lifespan of about fifty years, easily. If properly maintained and cared for, that life span can even stretch a bit farther. 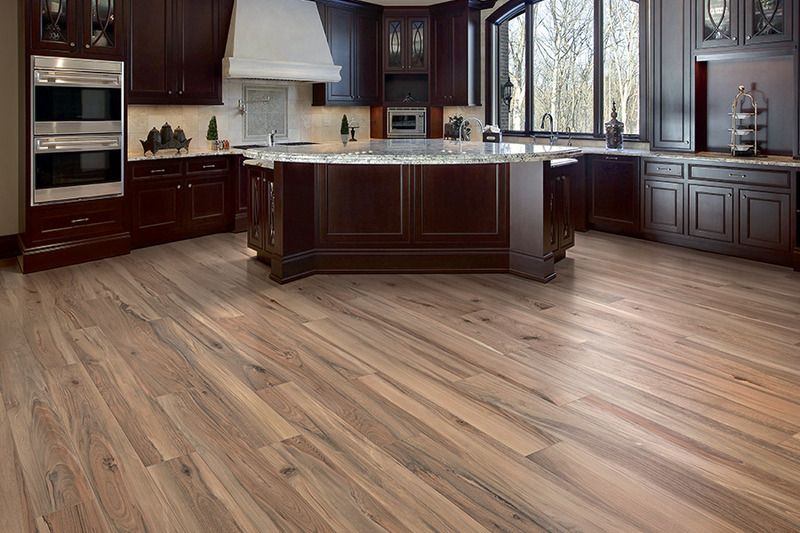 In the event that you sustain a chipped or broken floor tile, the good news is, you don’t have to replace an entire room’s worth of flooring. 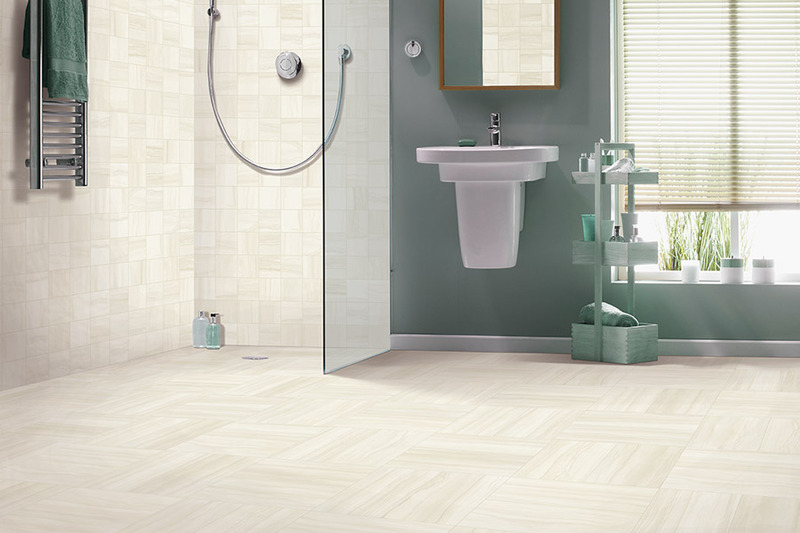 The damaged tile or tiles can simply be taken up and replaced with a new one. The only thing that would make this procedure tricky is if it happens to be part of a mosaic, in which case you would have to find a matching tile that would go along with the design.